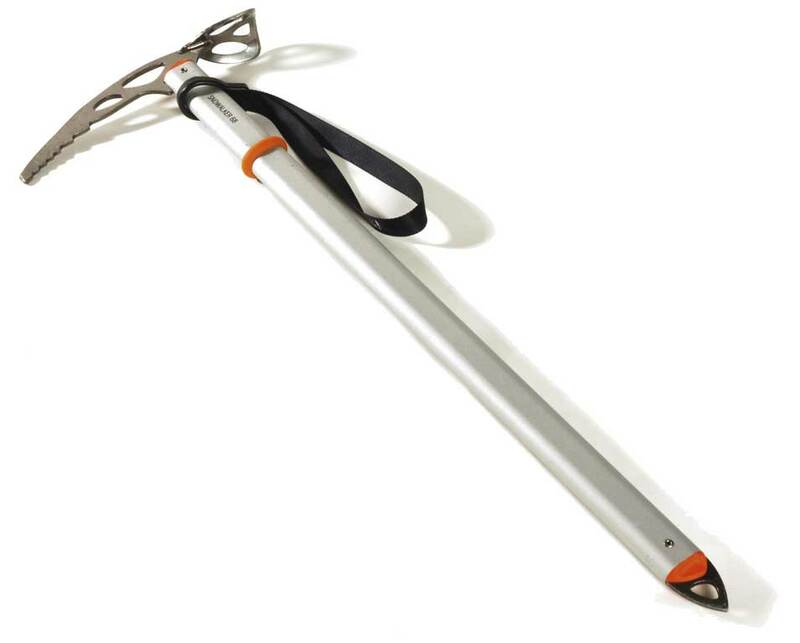 The SNOWALKER is the lightweight Petzl Charlet ice axe designed for glacier travel and easy snow slopes. The steel pick performs even in hard snow and ice. The wide adze chops steps efficiently and provides a comfortable weight-bearing surface. The anodized shaft is made of high quality, durable 7075 aluminum. RANDO leash included. Pick equipped with hole for clipping a carabiner or attaching a sling. Durable Charlet steel adze, contoured for hand comfort. Efficient for chopping steps.